/ Star Trek Discovery Delta Shield Mug 11oz. 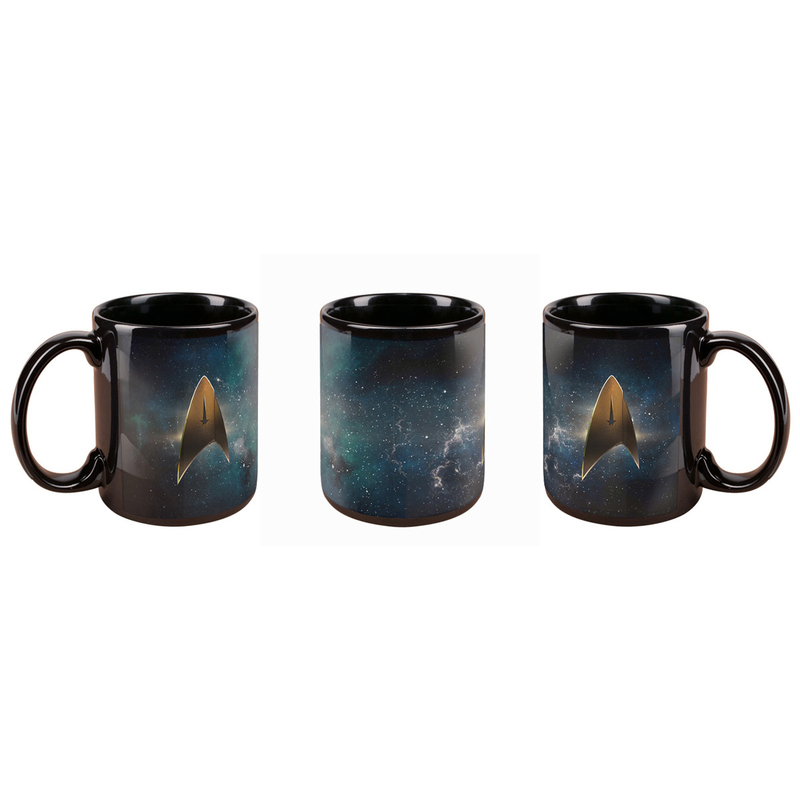 Get ready for the Star Trek Discovery with the Star Trek Discovery Delta Shield mug. The exclusive mug features the new Delta art from the all new series. Enjoy your morning coffee in this mug and show everyone in the quadrant you’re serious about Star Trek. Beautiful Mug! Use it all the time, Show everyone you're a Fan! I couldn't be happier with this mug. Just enjoyed my inaugural morning coffee with it and the mug really looks good on the desk. I ordered this mug. The graphic on it was very dark; it was hard to see from any distance or less-than-idea lighting. I exchanged it for a second mug, in case it was a production issue. It was equally dark. Disappointing. It's more vibrant on the Web site .